Over the course of Term 1 in my Professional Learning Team (PLT) at school, we have been analysing the writing skills of (all) the students in Year 7-10. This has been an intensive task, where we have had to analyse up to a hundred pieces of writing each, identify key components in the writing, plot these key components on a literacy continuum, and then identify the overall cluster that the student would belong in. 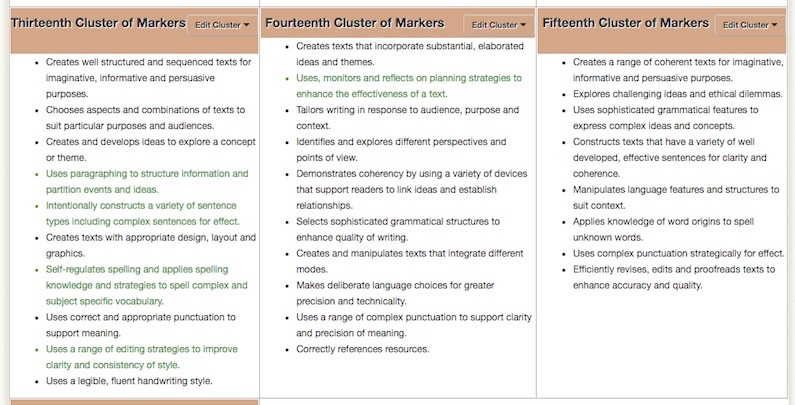 As one can see, the clusters group the different features that can be analysed in a piece of writing. This is done with a number of pieces of writing for each student, and spread across the 60-ish staff in the high school. Each piece of writing is taken from the subjects that teachers have taught. This has been easier for certain subjects, such as English and HSIE, but harder for subjects like Mathematics where writing decent pieces of text is not commonplace. This required me to look at specific literacy tasks that could be used in a Mathematics classroom. 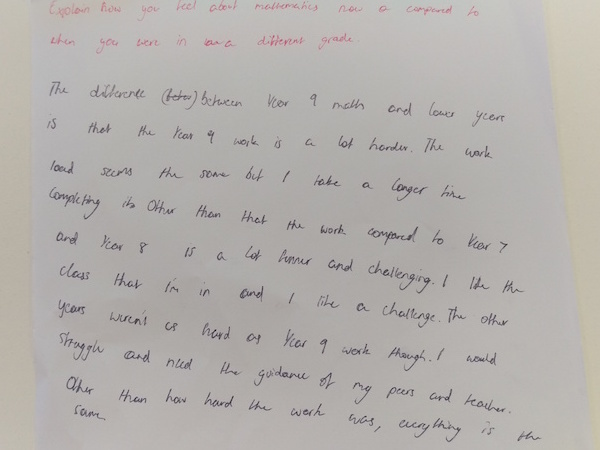 As you can see above, the question that was used for this task was “Explain how you feel about Mathematics now & compared to when you were in a different grade.” This was completed in an accelerated Year 9 Mathematics class, and there was a large range of writing standards demonstrated. These were then plotted using the literacy continuum above, which is where some clear issues were identified. Writing ability can be subjective, and the ability of a teacher who is not trained a writing-based subject to efficiently identify the features, and level of features, of a piece of writing proved to be somewhat inaccurate. This came up when it was time to identify the clusters that the students were to placed in. The cluster that one group of teachers placed a student could be quite different to the cluster that another group of teachers would place them in. While for the majority of students, it seems that they were placed roughly in the right cluster (according to the English teachers), others seemed to placed lower than would have been predicted, according to teachers that knew those students. It would seem that analysis of the writing skills of students would be better put in the hands of teachers who are better equipped to accurately take on that task, just as it would be if one was to analyse the numeracy skills of students. This has been a great learning experience and has many benefits from school-wise perspective to better meet the learning needs of the students. 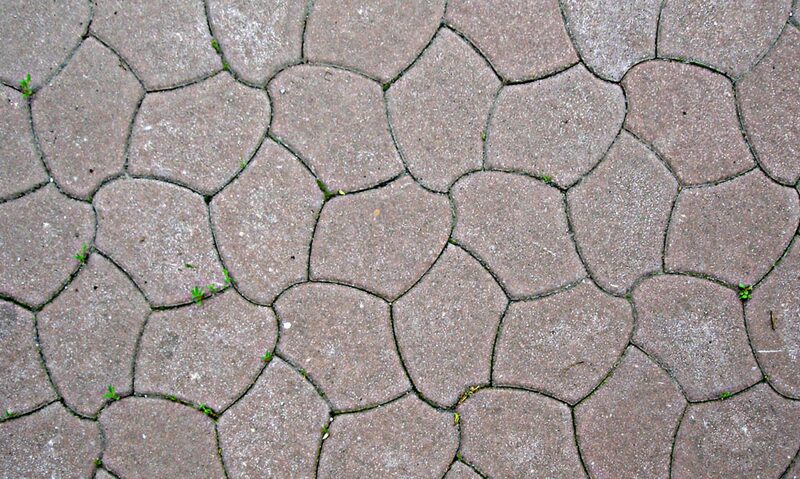 There were a number of bumps in the road as well, which is to be expected from a new innovation in any school.